Originally listed at 425.000 ? now reduced to 360,000 ? 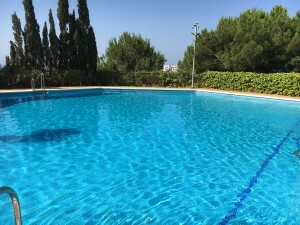 Excellent penthouse with 3 bedrooms and 3 bathrooms that we find in Nueva Andalucia, in the private and quiet urbanization Lorcrimar, just a few minutes from all the amenities of the area and the famous Puerto Banus. Enjoy a large terrace with panoramic views of the sea and the surroundings. The apartment consists of two apartments combined with what is very spacious, with a large living room and very cozy rooms and bathrooms. With communal pool and gardens. Ideal place to live or vacation. Virtual tour and floor plan available.